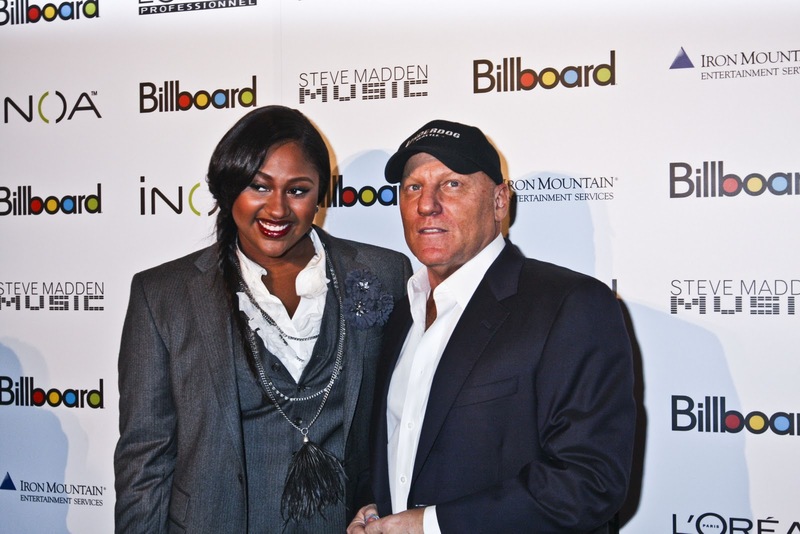 Yesterday shoe mogul Steve Madden presented fellow curvy girl Jazmine Sullivan with Billboards rising star award. We all love Jazmin for her powerhouse voice but sometimes her outfits are a bit questionable. 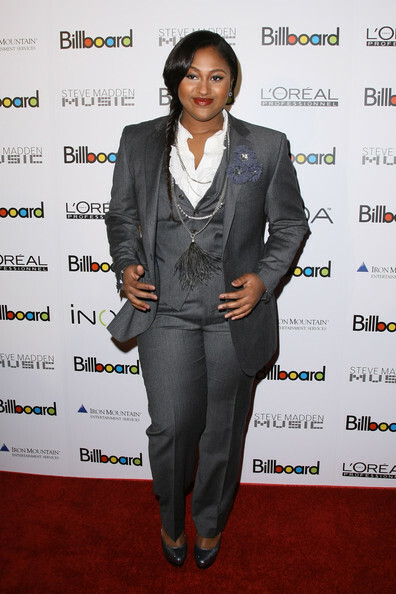 At the event Jazmin rocked a 3 piece suit with a white button up. SC wants to know is she working it or is it back to the drawing board?